Bookmakers are offering refunds after 11 horses have tested positive for anabolic steroids at the stable owned by the ruler of Dubai. In one of the biggest ever scandals to hit horse racing, some bookmakers reacted quickly by deciding to refund ante-post bets on the affected Al Zarooni-trained horses. Kate Miller, head of William Hill’s PR team, tweeted: ‘Godolphin horses William Hill will refund ALL AP bets on; 1000 Guineas, Certify & Desert Blossom. 2000 Guineas; Artigiano/Restraint Of Trade. Top trainer Mahmood Al Zarooni’s future is now in doubt after Certify, an unbeaten thoroughbred filly poised to win the 1,000 Guineas race next month, was among those testing positive at the Newmarket stable. 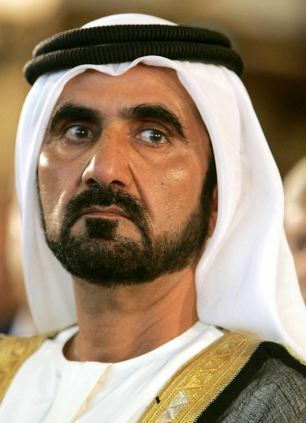 Officials have now banned the horses from taking part in the race on May 5 in a hugely embarrassing development for Al Zarooni’s Godolphin stable boss Sheikh Mohammed bin Rashid Al Maktoum, the ruler of Dubai. 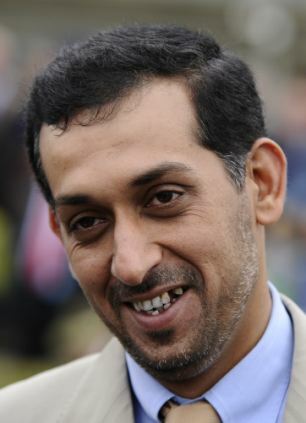 Al Zarooni issued a grovelling apology and said he did not know the practice was against the rules. He now faces a BHA disciplinary hearing. If found guilty he will almost certainly be banned from the sport. The gravity of the situation was reflected in a statement from Godolphin racing manager Simon Crisford. He said: ‘This is a dark day for Godolphin. We are all shocked by what has happened. ‘His Highness Sheik Mohammed was absolutely appalled when he was told and this is completely unacceptable to him. We will await the outcome of the BHA inquiry before taking any further internal action. Al Zarooni and Saeed bin Suroor train for Godolphin in Britain but the former had seemed the favoured trainer with Sheik Mohammed since being handed a role in 2010. Last year he won the Dubai World Cup with Monterosso and the St Leger with Encke. The drugs breaches involve ethylestranol, the substance found in Certify, and stanozolol. Al Zarooni said: ‘I deeply regret what has happened. I have made a catastrophic error. Because the horses involved were not racing at the time, I did not realise that what I was doing was in breach of the rules of racing. When jumps trainer Howard Johnson was banned for four years in 2010, one year was a result of positive steroid tests. None of the Al Zarooni horses to test positive can currently run. His stable was subject to a random test on April 9. No date has been set for the hearing. Speaking to BBC Radio 5 Live, Lincolnshire-based trainer James Given, who is also a qualified vet, said: ‘The number of horses that tested positive shows that it wasn’t what one might term an error with a single horse. Also speaking to BBC Radio 5 Live, David Mountford, chief executive of the British Equine Veterinary Association, said: ‘The rules are fairly clear, and I think most trainers would be aware of those rules. The use of anabolic steroids in training is banned in UK racing.